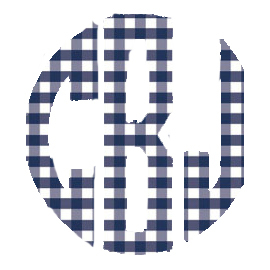 I wear gingham for most of the year, so it's only appropriate I add some Buffalo check into my wardrobe for fall and winter. 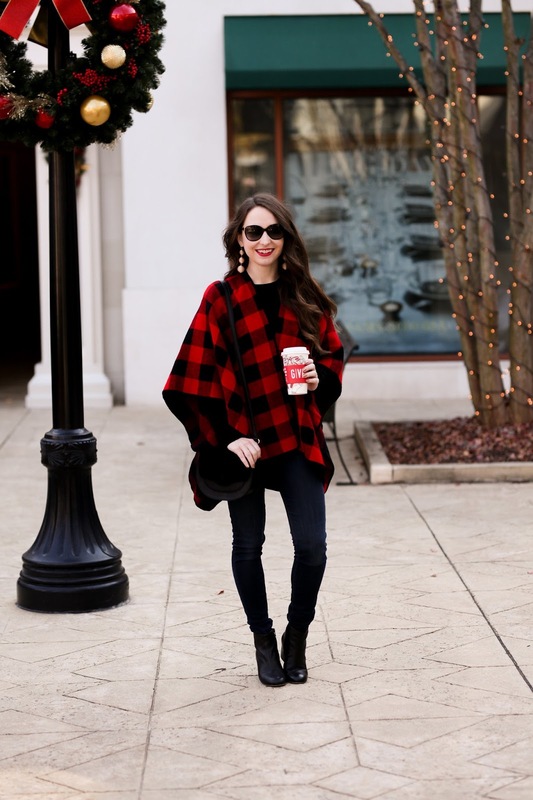 I paired this cape with my all time favorite cashmere sweater. 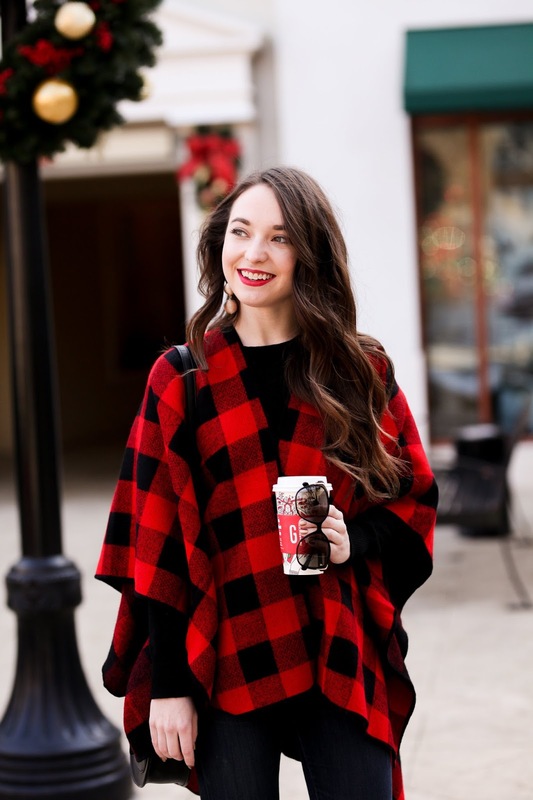 I found this sweater for $30 at the Ralph Lauren outlet when I was 15...I'm almost 24 now and still wear it all the time. 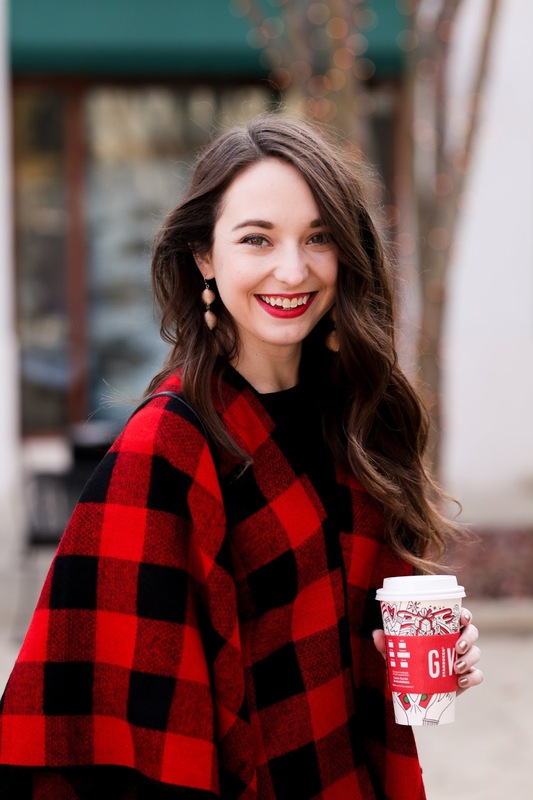 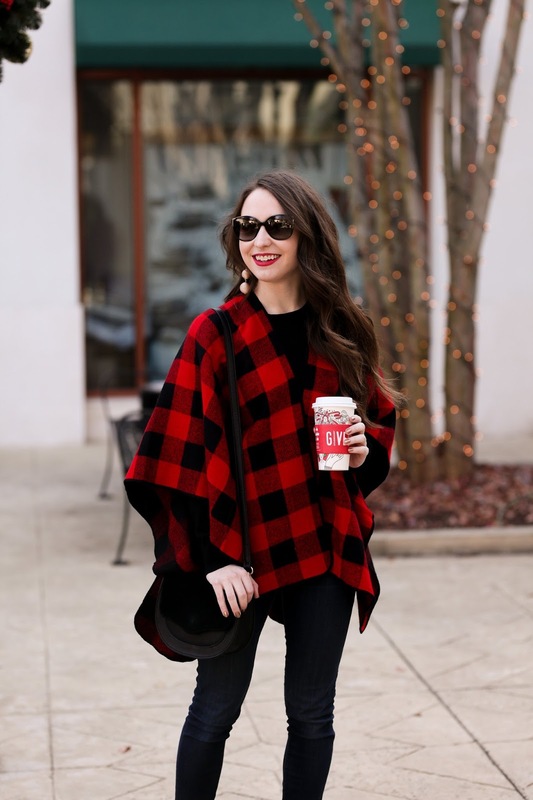 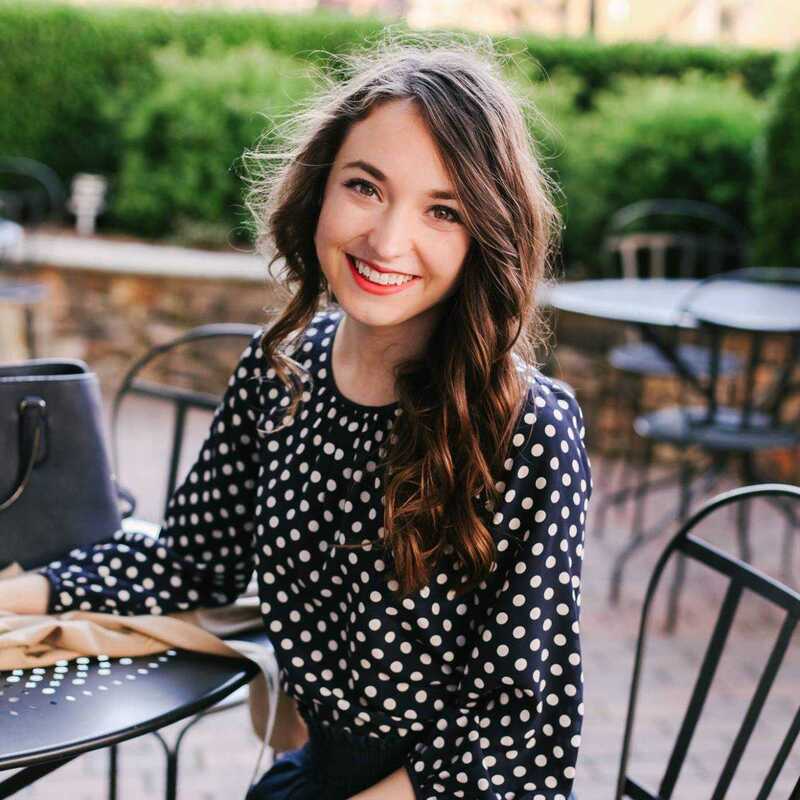 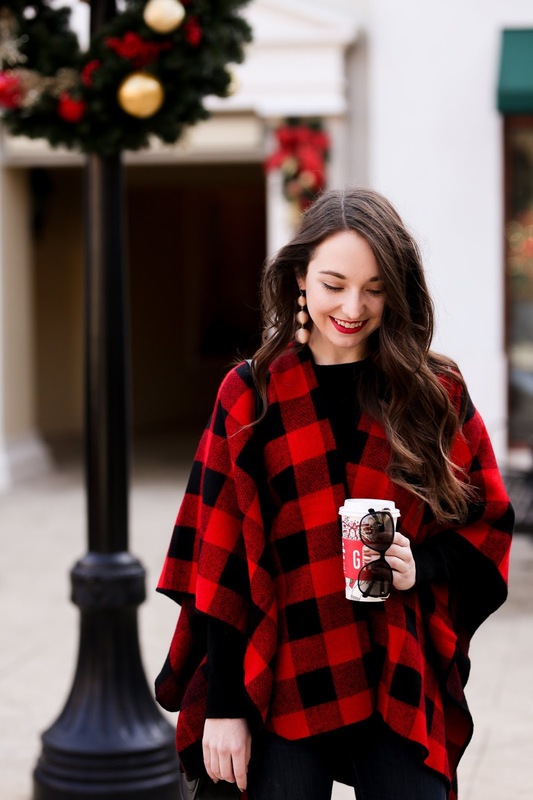 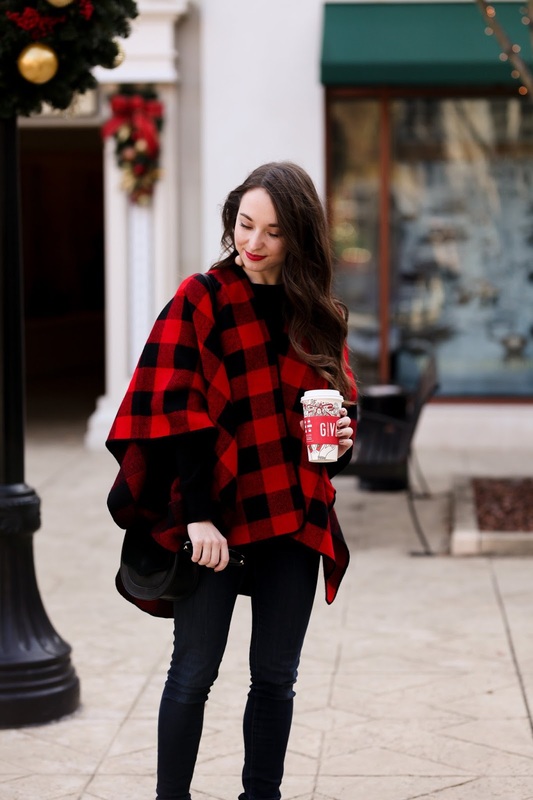 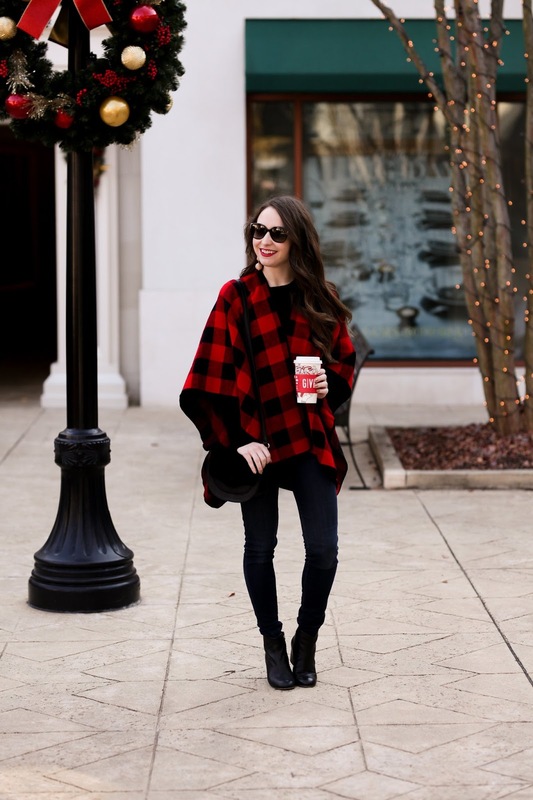 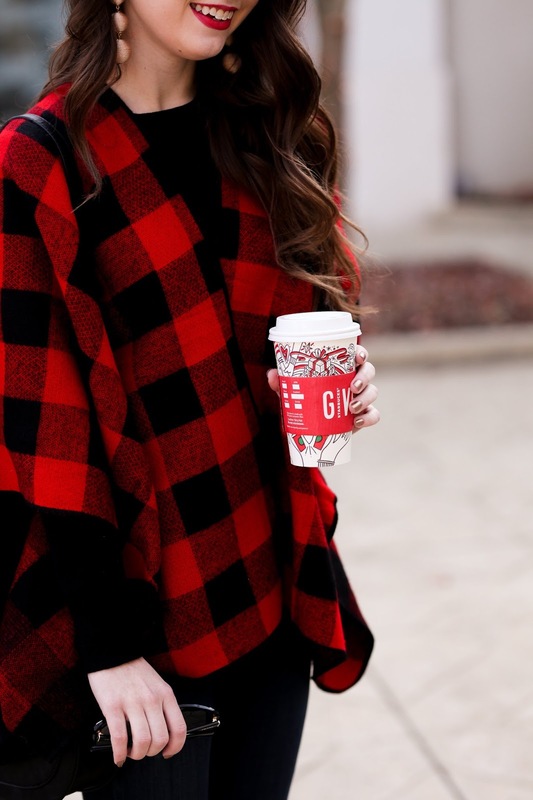 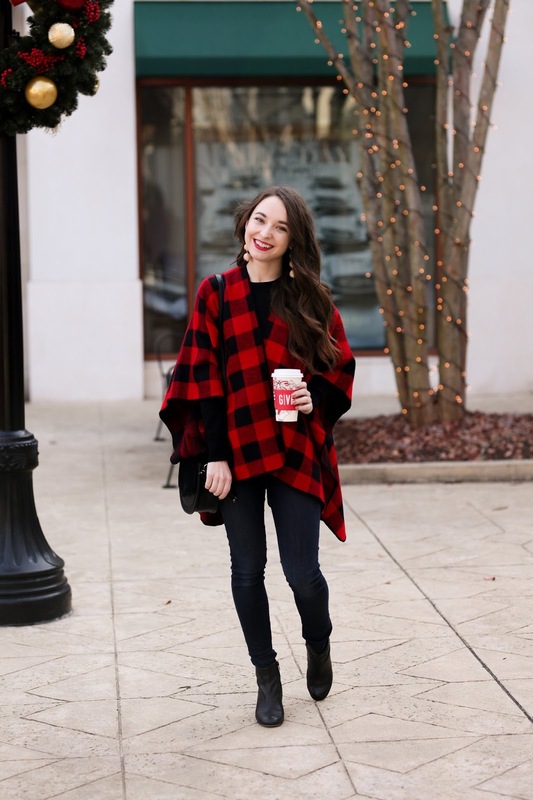 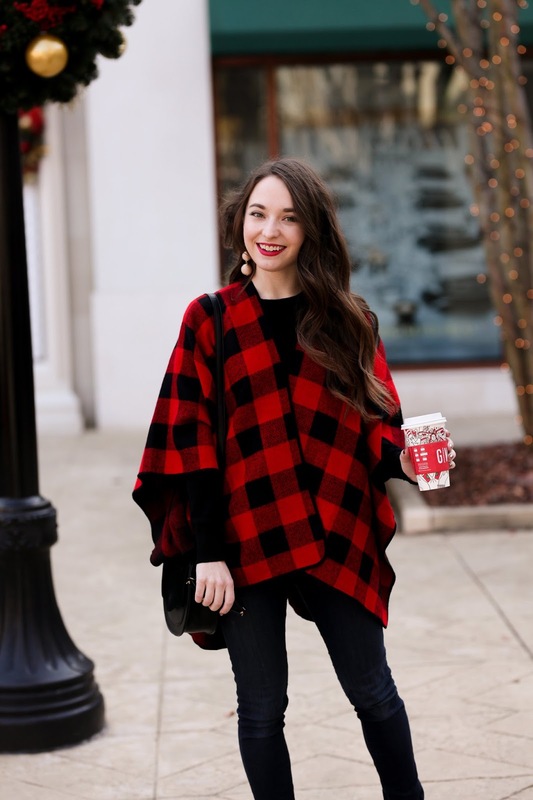 I've probably mentioned before how much I love wearing red in the fall and winter, and I love that this cape can add so much red to any neutral outfit!